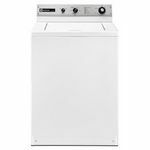 The titanium Electrolux EIFLS60 front-load washer provides more cycle choices with a NSF® certified Deep Clean Sanitary cycle, 15 minute fast wash cycle, and a customizable My Favorite Cycle. There are also 7 specialty cycles and the only UL-approved consumer-reversible washer door. Wow! Love at first wash.
Love the machine so far. Some things I don't like is the knob to choose the settings. It pushes in too easily. I wish it was either stationary or that it was harder to push in. If I brush against it it goes in. Not that it matters if it is in or out. Also, the soap drawer is a little hard to close. That might just be because it is new. Cleaning Time Washes faster than my Old front load but gets everything nice and clean. I love the numerous options for cleaning. Performance Seems to clean very well. My husband does repair of dairy equipment and his clothes stink like cow poo. This machine does a great job of getting the smell out of his clothes. Ease of Use Instruction book could be better. It goes through how to wash clothes from sorting to reading labels. I know how to wash clothes. I need to know how to run the machine. Durability I just got it so not sure about this but after reading consumer reports I expect it to last for at least ten years. 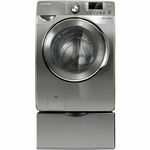 I have been using Electrolux front loading washer now and I think it tops all the other washers that I have used. It has such a large capacity that I can put most of my laundry in just one load. I like that it has a favorites setting because it save me time, instead of pressing a number of buttons to select my wash cycle, it remembers the one that I use most often. 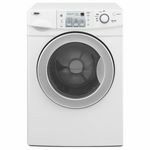 The washer that we have allows you to see how much time it will take to finish the wash cycle and allows you to shorten the cycle by selecting different options. One option is a pre-wash cycle and that can be used if the load is heavily soiled as far as I know. I like that we are able to select a double rinse cycle because I like to make sure that all of the soap is rinsed out of the clothes. It allows you to use a small amount of laundry soap and still get your clothes clean and fresh smelling. The chimes are nice and not too loud. The light inside the washer is handy as well. Love this Electrolux washer. Large, so it fits my king comforter, easy to clean but it can get a bit tricky to get it to the "clean" cycle on the screen. A lot of washing and spin options on this machine so just about anything can go in without any worry that the spin will be to much or not enough, No more worries for me that I will have to double spin any of my loads again as I did with my last machine. I purchased this washing machine to replace my top load GE washer. This washer is much easier to use than any of my previous washing machines. The tray that holds the detergent, bleach and fabric softener comes out so that you can wash it. I use much less detergent than I did in my GE. It is awesome at getting all of the dog hair off of my blankets and rugs. The washer capacity is huge!!! I put my queen size comforter, blanket and pillow and still have some room left over. Now I wash towels once a week as this washer can hold a dozen towels easily. 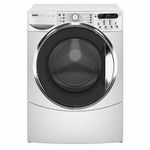 If you are looking for a washer that will get clothes clean, has a quick clean cycle and does not use much water or detergent this is the one for you. Energy Efficiency This washer uses very little water for each cycle. Cleaning Time I love the 18 minute cycle. It is perfect for the times my son forgets he needs something clean "right away". Performance Gets clothes clean and fresh. Uses very little water or detergent. Ease of Use I think it is easy to use, but it does confuse my son. Design I think the design is good and easy to use. 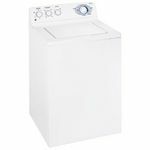 Durability I have been using this washer for almost 5 years and have not had any issues with it. I love my front loader but there are too many settings! The fast wash setting is great and I love that I don't have to worry about my clothes actually getting clean but there are so many settings I never know which ones to use. Also when wipe down the machine many of the letters wiped off indicating what the setting were :( Energy Efficiency nice and quite, less water, haven't compared elect. Cleaning Time there are different options love the quick wash for on the go times! Performance Never had to worry about anything coming clean! Ease of Use wish there were less options for the user to choose. I always worry I am going to mess up! Design love that it can hold a lot for its size! Perfect for any home! Durability While wiping down the machine several of the letters came off the from of it. Now you have to refer to the manual for settings.